The Stork Lady is searching for a partner in Marietta, GA! Are we searching for YOU in Marietta, GA? Stork Sign Rentals ~ Marietta, GA – Are you looking to make extra income? We’re looking for a partner in the greater Marietta, GA area! The Stork Lady brand has a strong presence across much of the USA! We have several partners in Georgia but no one in the Marietta area. . We often receive calls from new parents and grandparents in the greater Marietta area, including Kennesaw, who would like to rent a Stork Lady sign to celebrate the birth of a “new baby.” We’d love to have a partner in the area who we could refer the calls to. We also look forward to helping a partner in the greater North Atlanta metro area build a busy and successful stork rental business. The Stork Lady is a flexible home business. It’s not a franchise which makes it affordable. After a small initial investment, all money earned is yours to keep. 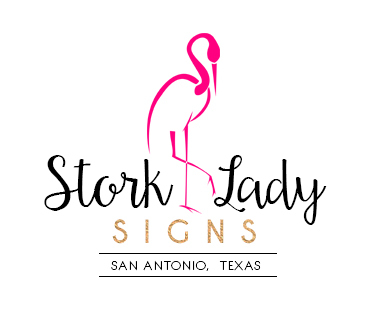 A stork sign rental business is perfect for working professionals, single parents, stay-at-home moms married couples, retirees and young families. It’s easy to rent stork signs around anyone’s schedule, which is one of the many great things about this business opportunity. We have 22+ years of proven results and offer ongoing unlimited support. We work with our partners on a daily basis to help them establish and grow their businesses. See our Business Opportunity page and check out our FAQs for more information. Please visit our Gallery page to see all of the options for our beautiful yard signs. And feel free to contact us at 210-601-7351 for more information. What will you do with the extra money in your budget every month?